The conversational ice-breaker at an informal corporate dinner I recently attended turned out to be maids and chauffeurs. One guest shared how his domestic help hires the services of an old neighbour to look after her children while she is at work. Another revealed his chauffeur does not clean the car he drives for a living, but pays another person to do so. He believes cleaning cars is too menial a task. We swap stories about the consumption patterns of Indians all the time nowadays. These are rapidly changing in ways that surprise and confound us. We hear of men, who hardly stepped into a kitchen before, rustling up quick dinners with pre-mixes and exotic ingredients, or of seven year olds discussing downloading of games. At such a juncture comes Rama Bijapurkar's latest book on the subject. She is, of course, our very own diva of behavioural economics, a well-known management consultant and a market researcher whose last book, We Are Like That Only: Understanding the Logic of Consumer India, brilliantly nailed the paradox called the Indian consumer. By now many of the Indian consumer's foibles are in plain view all around us - we do not really need a Bijapurkar to point them out. Facts such as the extraordinary heterogeneity of the country's consumers, or that India is a huge market, with a GDP set to cross $2 trillion, are well known. But the book was certainly needed to point out how uncommon it still is to find companies taking cognisance of what is so common and building a strategy around it. While many marketers tend to focus on wealthy sections - the 'cream' as Bijapurkar calls them - there is need, she feels, to 'right size' investments to meet the requirements of the rest of the population. A significant 38 per cent of total consumption is by people at the bottom 60 per cent of the pyramid. The new book maintains that instead of employing a multiplicity of offerings, business models and business systems to serve even a reasonable slice of the opportunity in India as many retailers tend to, they should focus on learning to do so cost effectively. 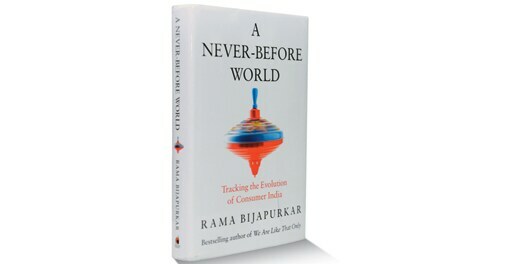 Like the former book, this one too is replete with vignettes and anecdotes about different kinds of consumers. Consider this one: "A young worker in the building I live in bought a new Honda motorcycle, paying a premium to the list price, because there was not enough stock out yet in the dealership." Why did he pay extra rather than wait for his motorcycle? He knew he would not be able to replace his bike soon, and hence wanted one which would stay current for a long while. True, some entrepreneurs have not been blind to such trends. Future Group's 'Fair Price Shop' targets modest localities, where people do not want pomp and show, but a decent environment to shop in, and some shopping choices. They want something affordable next door, but not a hole in a shanty. Day-care centres are springing up in urban slums. They target children of people who are busy chasing livelihoods, but who can afford to pay a reasonable charge for child care. Bijapurkar also highlights the growing phenomenon of 'workmate' consumption - Indians are willing to spend on goods and services that assist them in their work, improve their education or take them up the value scale. Such insights make the book interesting, though it does ultimately seem like a revised version of her former book. Indian consumers do tend to leapfrog disconcertingly and do not fit into marketers' familiar patterns for long.